Lukhnow is a capital city of Uttar Pradesh. 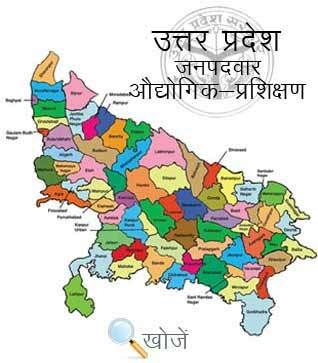 It is the eleventh most populous city in India and the largest city of Uttar Pradesh. It is very much influence by Shia Muslims Culture and Traditions and is fondly known worldwide as the City of Tehzeeb or the City of Nawabs. It’s a multicultural city where people use different dialects, languages, and lifestyles with the literacy rate of 77.29 % which is the higher of state average 67.68%. The education system in Lukhnow is well established. It has many reputed and high Standards Medical and Engineering Colleges, Management and Research Institutes, Universities, Schools and Professional Study Centers like Indian Institute of Management, Lucknow University, Central Drug Research Institute, Institute of Engineering and Technology and many more. To understand the growing demand for technical skills in India, the state has five Government Industrial Training Institutes (ITI’s) and sixty-three Private Industrial Training Institutes (ITI’s) that offers technical courses to the aspirants of duration of 6 months to 12 years. Prerequisites for the courses range from 8th to 12th class pass. Upon completion of the training, trainees write the All India Trade Test (AITT). Successful candidates receive the National Trade Certificate (NTC). Vyavasayik Pareeksha Parishad (www.vppup.in) is responsible for organizing the entrance examination for admission to various trade courses in ITI’s. Students can visit online education portal www.upiti.in to get all necessary information regarding online downloading application forms, check their results, download admit cards or check important notifications dates etc.